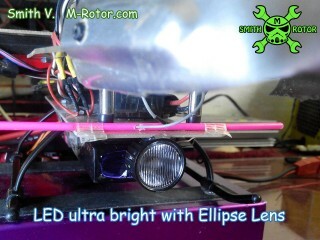 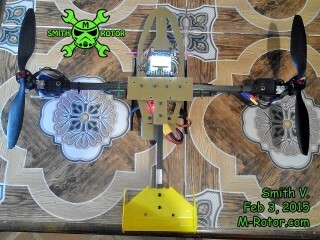 second test with modify motor tilt. 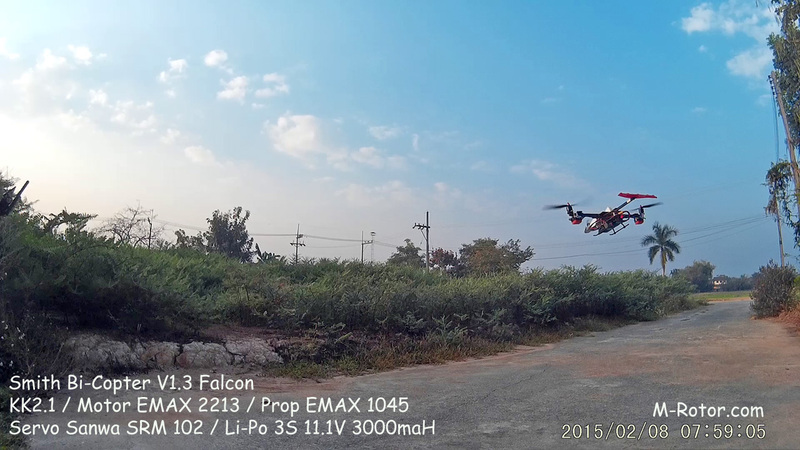 it flying better than the first test so much. 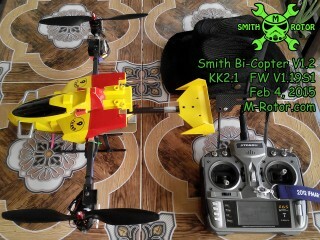 This flight for test flying with head shell attach. 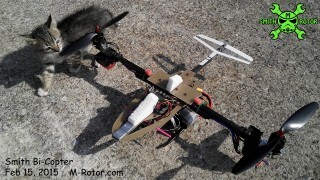 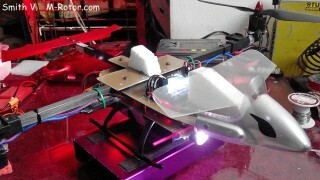 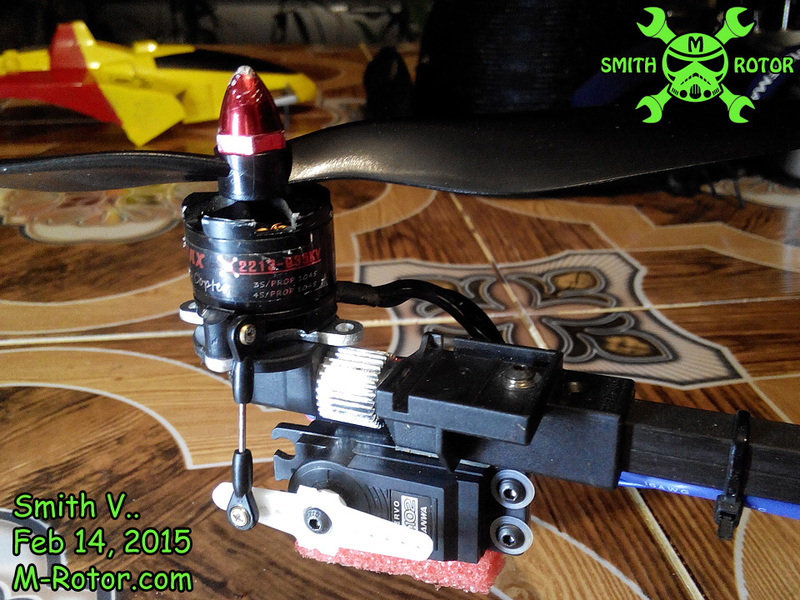 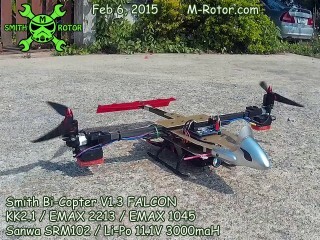 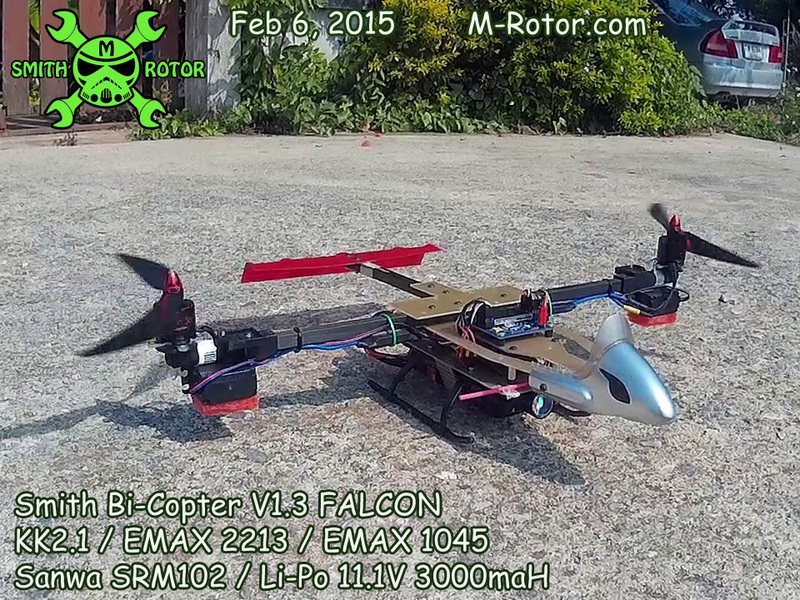 test flight for my build bi-copter FALCON. 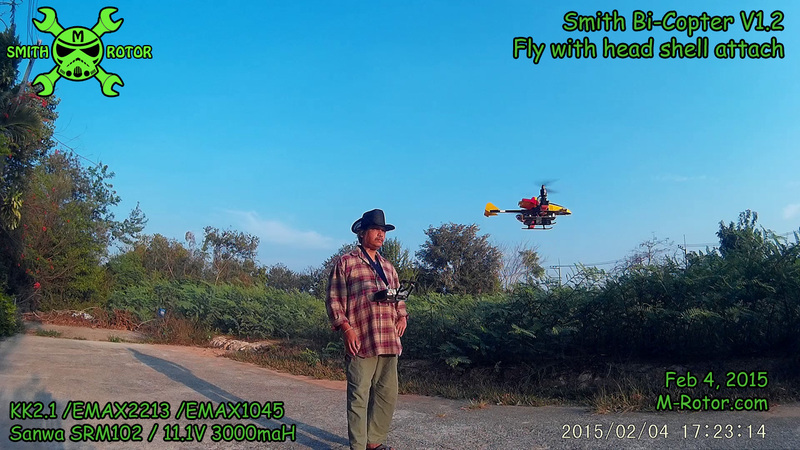 full 9 minute continuous flying UNCUT, so you can see it stable fly well? 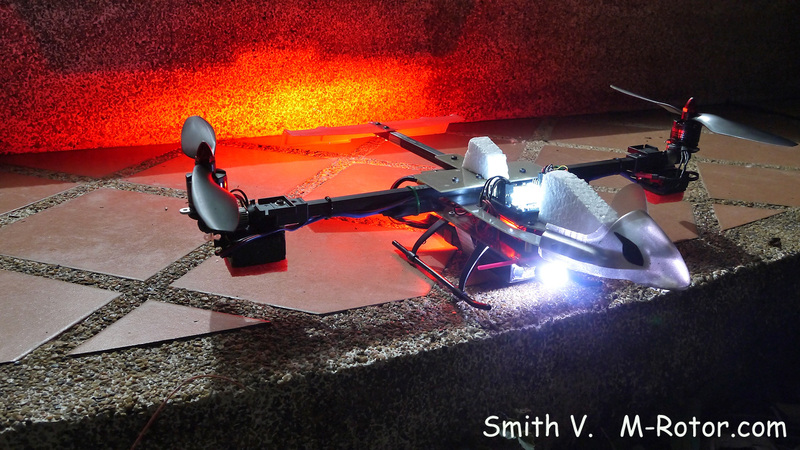 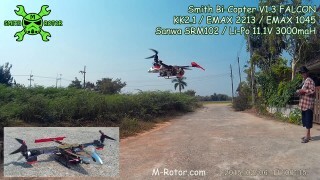 Morning flight of my bi-copter. 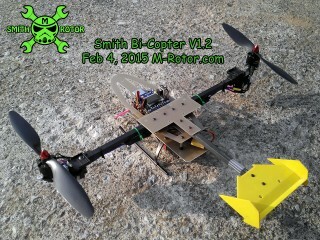 today have winter wind that come from north to south. 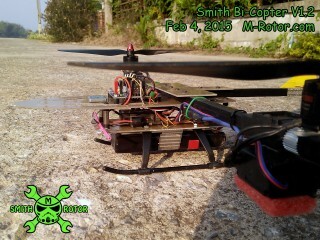 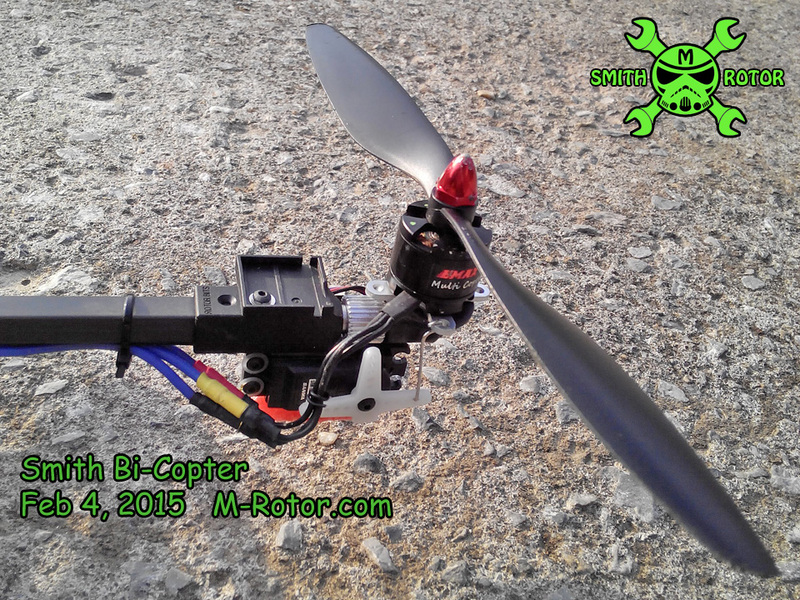 my bi-copter almost to gone with the wind. 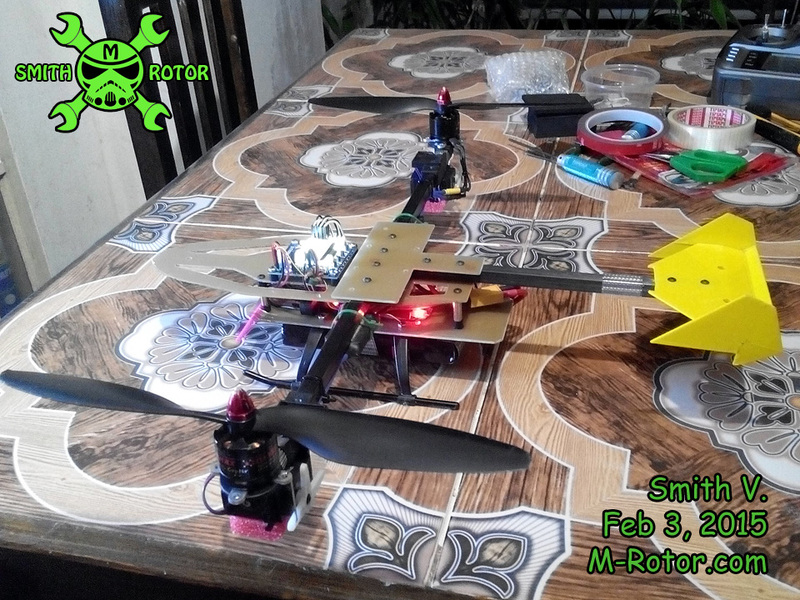 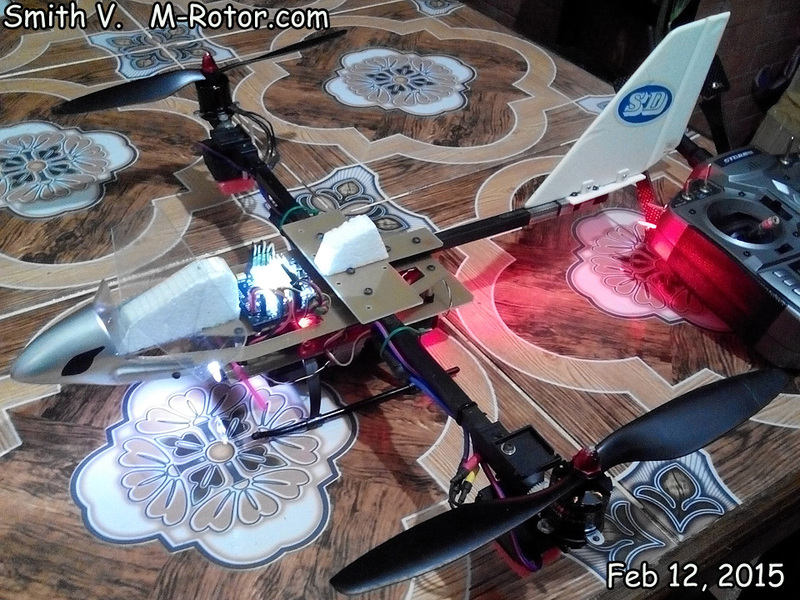 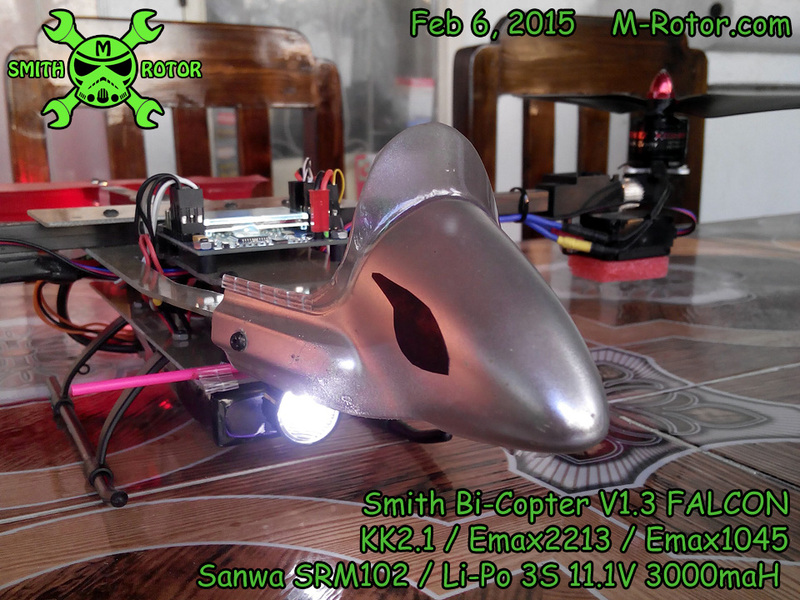 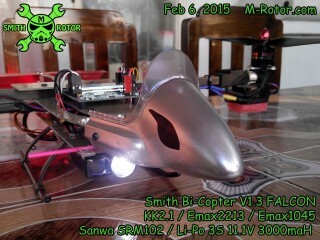 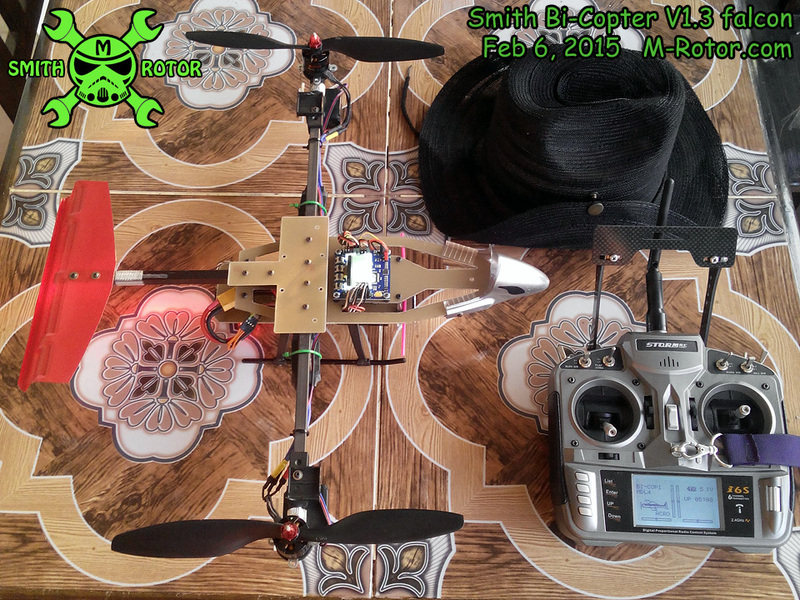 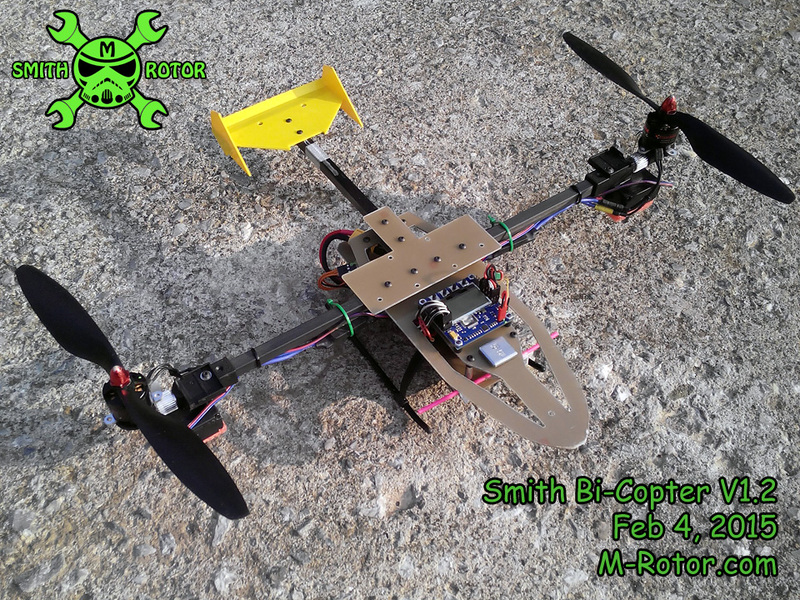 I like your project, I am assembled bicopter using kk 2.1, but I can’t tuning the controller PI, do you have the constant to send me? 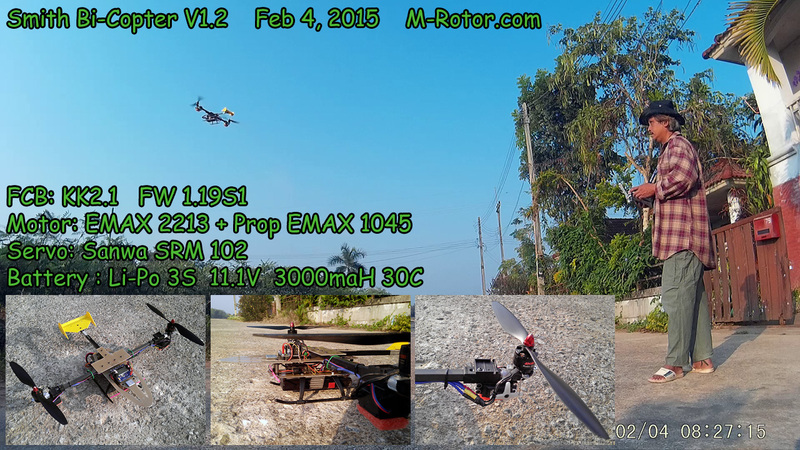 for bi-copter, use only P valueม P gain = 30 / P Limit = 100 , don’t use I (I gain=0 / I limit = 0). 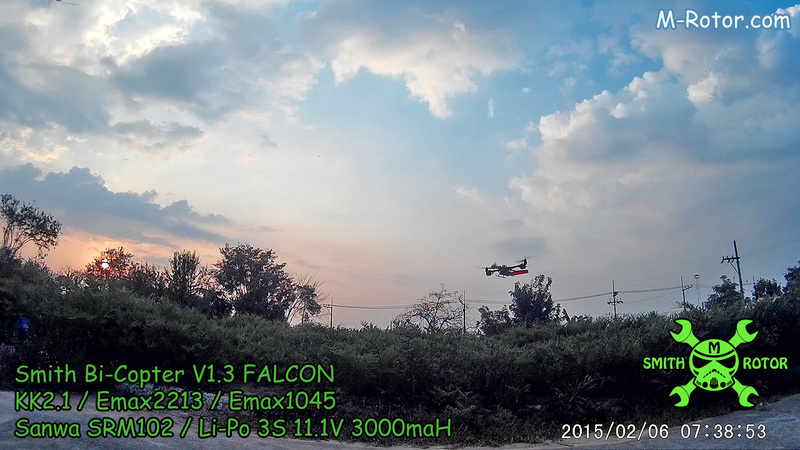 and use low frequenvy for ACC (filter=20Hz) is good for bi-copter. 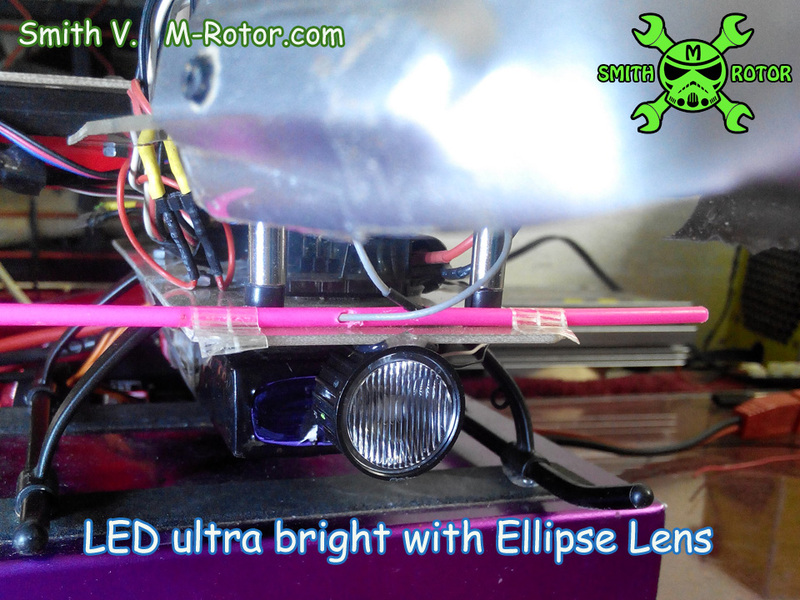 Thanks for the reply , but the values ​​are all settings in PID ? 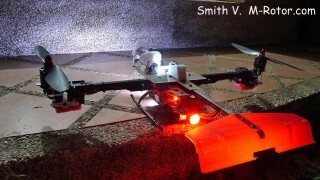 Roll , Yaw one step? 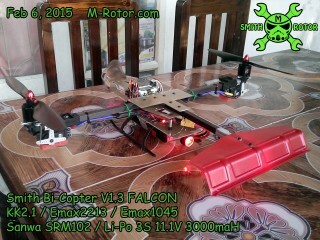 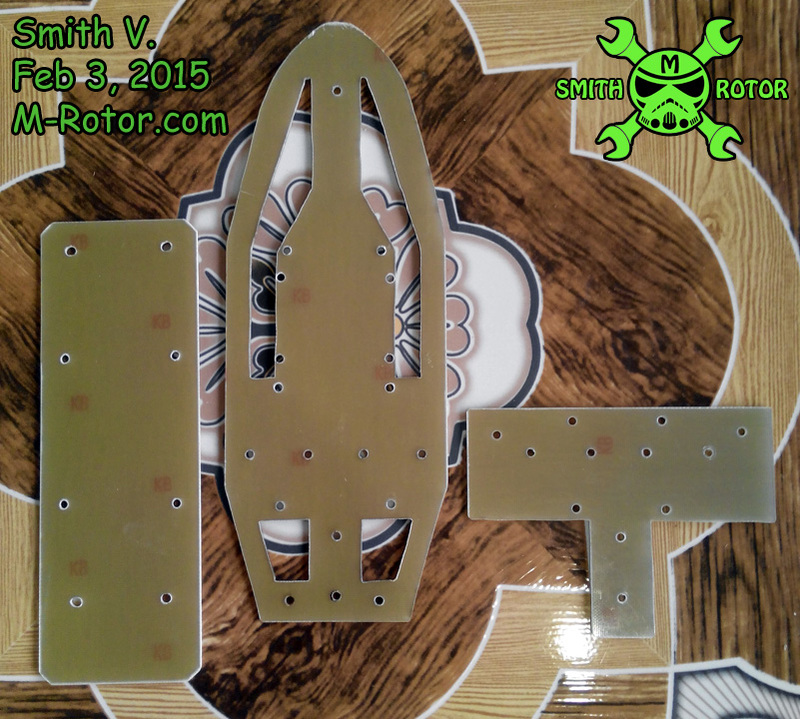 i’ve KKboard FW version 1.18S1 pro ,i wanna build up bicopter/dualcopter but how to mix up the servo? thanks for the mixer….. i want to ask it’s normal when i tilt the board to the left, the supposed reaction is the left motor spinning at higher speed to counter back the situation, but what i faced is when i tilt the board to the left, the right motor spin at high speed…. it’s normal? 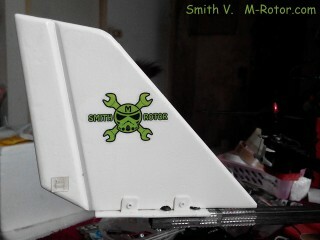 or i need to do something to the board? 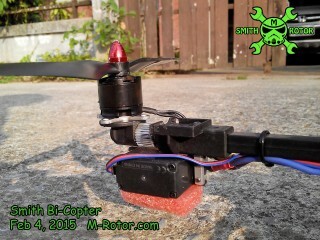 thanks for the mixer….. i’ve a problem when i tilt the board to the left, the supposed reaction is the left motor spinning at higher speed to counter back the situation, but what i faced is when i tilt the board to the left, the right motor spin at high speed and fliping……what need to do with setting of the board? 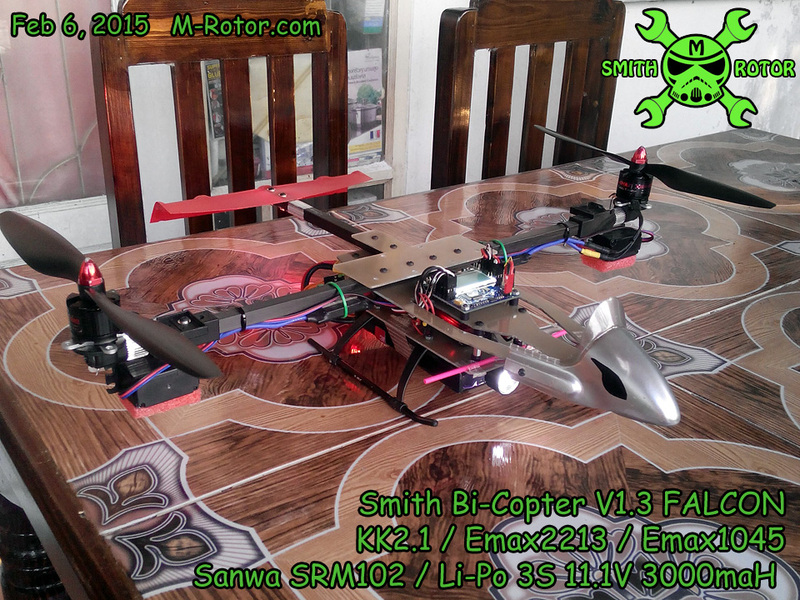 Sir i am studying mechanical 2nd year.I do your project but i have no idea.So please send me some tutorial of making bi-copter or otherwise send me some instruction.